What fools! You observe the unarmored raging into battle. They return battered and bruised. No pity rests in your cold heart. You are a dark knight after all, and you are no fool, so you wear the Edward Darkened Full Arm Armour. 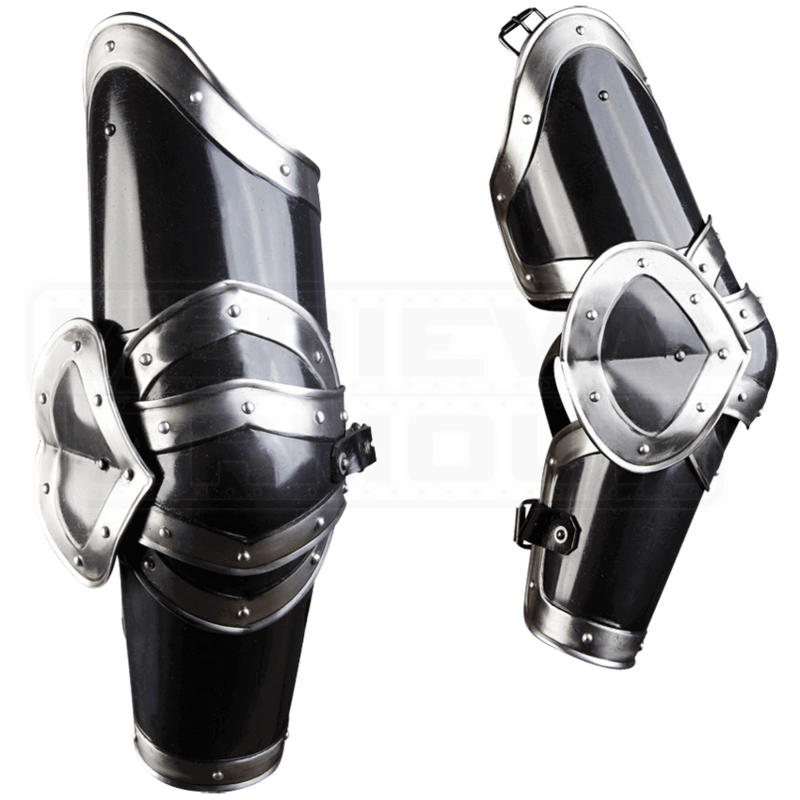 These arm guards are very useful on the LARP battlefield. 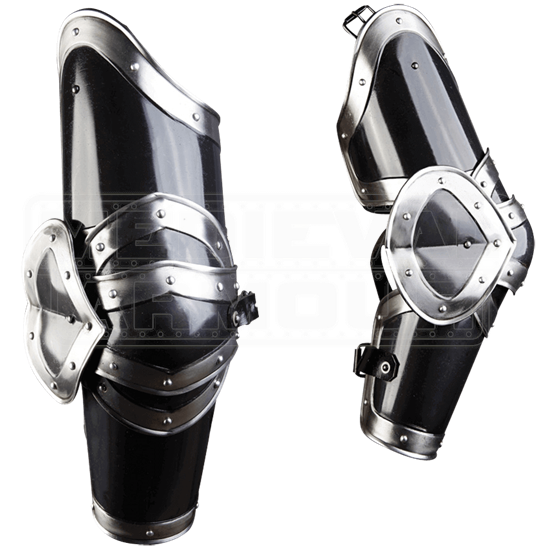 Enjoy the full protection of a bracer, couter, and rerebrace formed into one piece. Its fits well over padding and chainmail. The upper cannon section includes straps for spaulder attachment. Adjustable buckle straps create a secure and comfortable fit.